Quick, fast & friendly. Goulburn Car Removal is in and out in lighting fast speed, removing your unwanted vehicle from your yard and leaving cash in your hand. Call us for an instant cash quote. We buy cars for up to $9999. Instant cash! Towing your vehicle can add up. Scrap vehicles can be monsters to load & remove. At Goulburn Car Removal, you don’t have the concerns about how to get rid of your vehicle. Our no hassle car removals are scheduled at convenient times. We are your convenient 24-hour car removal service. We buy your vehicle and take care of all the hassles of selling or wrecking your auto and tow it away for free. Don’t deal with a car removal company that only collects your vehicle for free. Call Goulburn Car Removal and get cash for your car. We make instant cash for cars offers of up to $9999. Contact us at 02 8355 7345. We will require a complete description of your vehicle for our expert car appraisers to make an accurate offer. Our car appraisers can determine the value of your vehicle whether it is one to be recycled or resold with the details you provide. At Goulburn Car Removals, we have built our reputation on our excellence in car wrecking. We understand the importance just how dangerous pollutants and contaminants like the fluids and fuel from your vehicle can be to the earth. Our car wreckers practice the green principles of auto recycling, making the most recyclable value from your vehicle, and keeping the environment green and healthy. 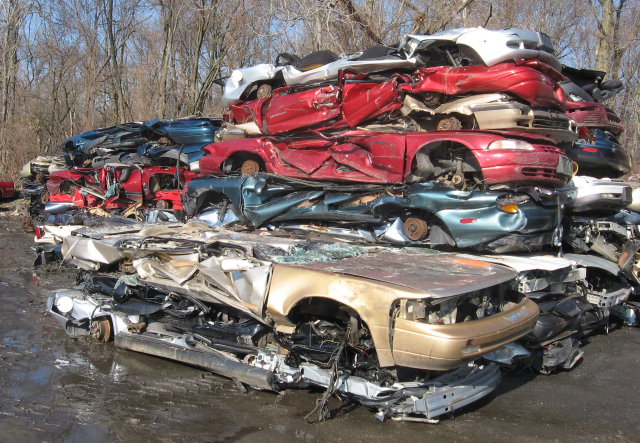 Your wrecked auto could be worth thousands of precious metals and steel. Give us a call today, and we’ll make you an offer on your auto. Why Choose Goulburn Car Removal? When you choose Goulburn Car Removal, you choose a company that is on your side. We are the used & scrap car buyer in the community that have the reputation and buying power that you can trust. When you don’t want a hassle selling your vehicle, simply give us a call, and we’ll buy it! Guaranteed! In about 10 minutes of your time, we will have a quote for you. It is that fast and that simple to obtain a cash quote from the car buying experts! We will require all the details including the vehicle identification number and odometer reading of your vehicle. If you no longer are in possession of the title of ownership, please let our car appraisers know at the time of your enquiry. Get Cash on Your Car, Truck, Van, SUV, Ute, 4×4, Bus or Bike today! Give us a call.